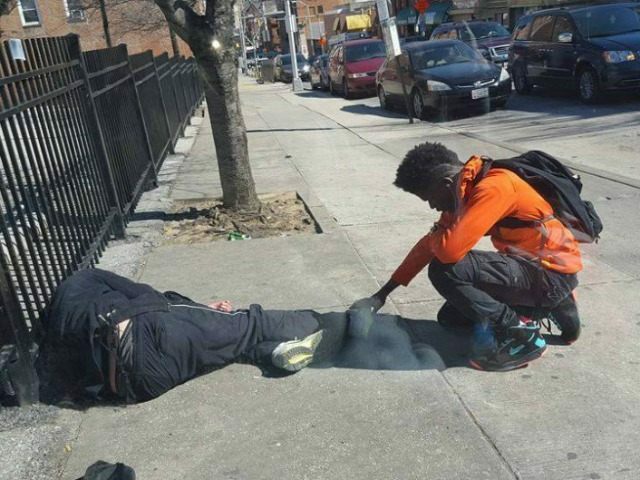 A picture of a boy praying over a sleeping homeless man in Baltimore, Maryland, has gone viral on Facebook. Jonathan A. Stormz said he watched the young boy walk past the homeless man, who was sleeping on the sidewalk. Stormz pulled out his phone as the boy began to approach the destitute stranger. Stormz said he could not help but snap a photo as he watched the boy place his hand on the man’s body and begin praying over him. Stormz said he had to share the moment with the rest of the world. The iconic picture has been shared more than 32,000 times on Facebook.